Calling all mobile musicians. All travelling producers. All beatmakers on the move. 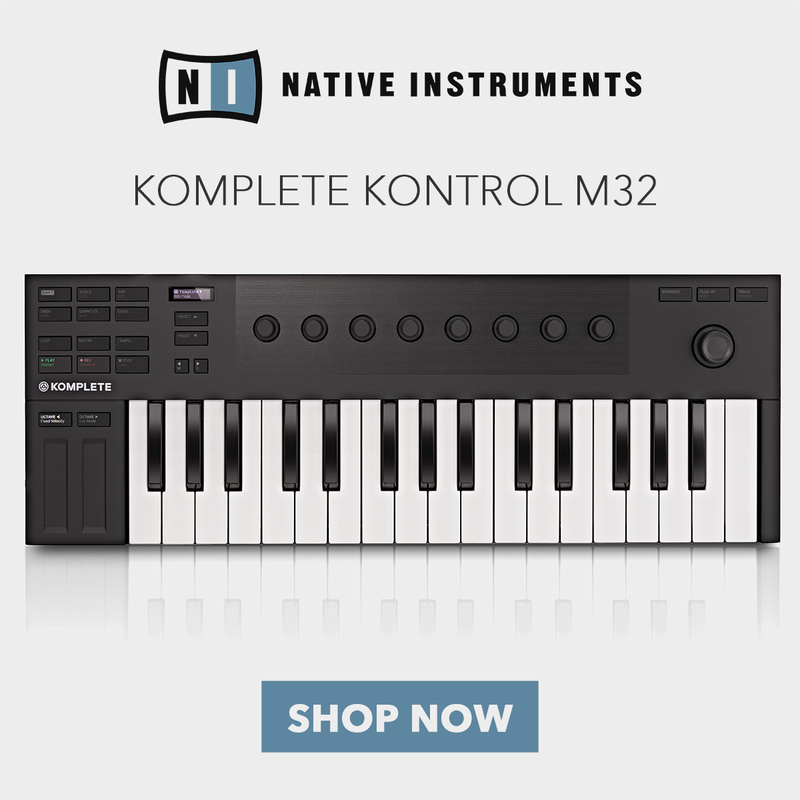 The KOMPLETE KONTROL M32 from Native Instruments is here, and it's ready to join you wherever you go. With 32 keys and an effortlessly sleek design, the M32 is the ultimate portable keyboard controller. As the smallest keyboard in the Native Instruments catalogue, the M32 allows you to carry a complete software controller solution with you, meaning you can make music wherever inspiration strikes. 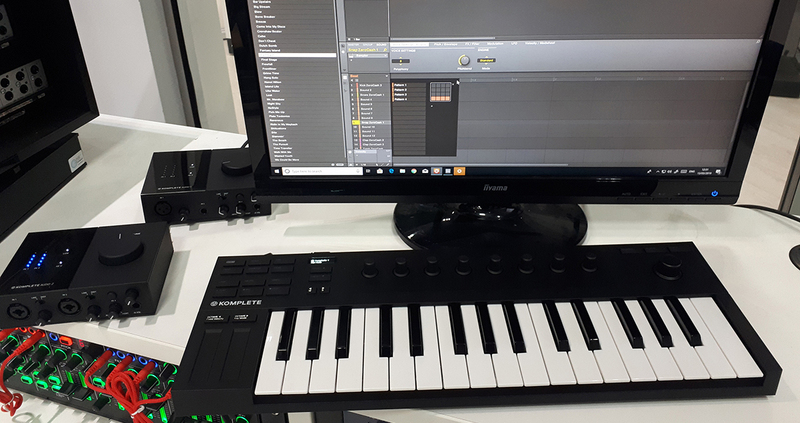 With its full complement of software, now you can create a music production system straight out the box; just add your laptop and you'll be ready to go. Despite its super compact size, the M32 comes complete with a full range of performance controls for maximum musical expression. 32 synth-action keys give a great playing feel on a custom NI keybed, while intuitive touch strips allow for even more expression. Like many other KOMPLETE KONTROLLERs, intuitive music creation is the name of the game. The M32 is built for seamless integration with your software. A range of transport buttons are ready to control your DAW remotely, while eight touch-sensitive controls are pre-mapped for instant control of the most useful KOMPLETE and NKS parameters. An additional master browser control section and OLED display let you get truly hands on with your project. If you're looking to simplify your music creation process even further, the special Smart Play features allow direct input of chord progressions, arpeggios, and even pre-mapped scales. Whether it's for creative inspiration or simply to expand your technique, Smart Play can take your music in an entirely different direction. Inspiration doesn't wait for the perfect moment to strike. 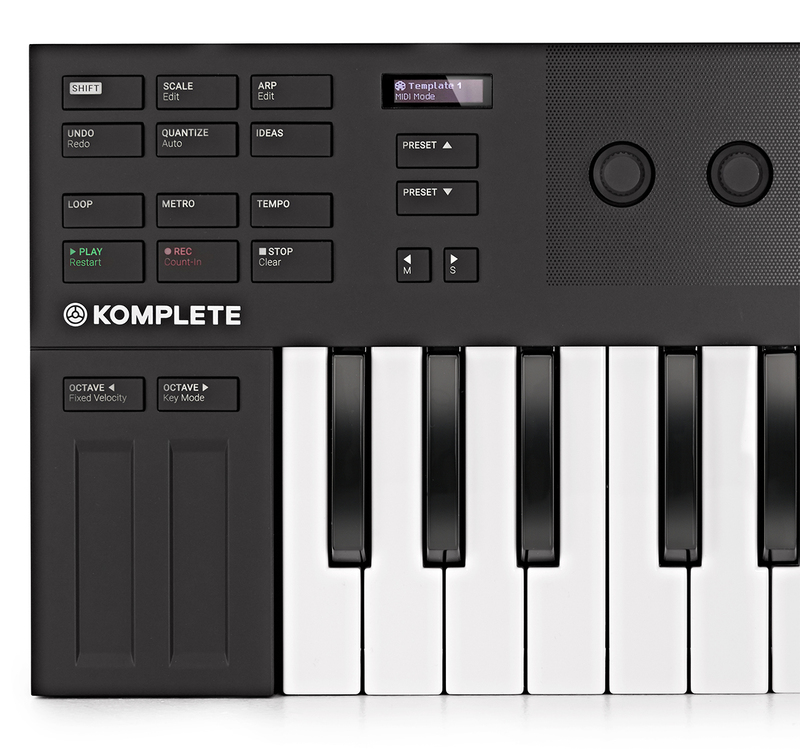 Luckily, you'll have the KOMPLETE KONTROL M32 ready to plug in and go, wherever you are. And while it makes the perfect travel companion, the M32 could also become the ideal centrepiece for your compact studio rig. A keyboard controller is only as effective as the software it's controlling and, luckily for you, the M32 comes packed to the rafters with premium NI software. Along with Ableton Live 10 Lite to fulfil your DAW requirements, the M32 comes with MASCHINE ESSENTIALS (a powerful groovebox) and 1.6 GB of Factory Selection content to get you started. The M32 is also packed with virtual instruments covering synths, pianos, and basses, not to mention the KOMPLETE START collection of 2,000 sounds and 2 month's free access to SOUNDS.com. Whether you're making your first tracks or you're a seasoned pro, the M32 offers an affordable and super compact way of making music. Follow the links below to shop now and find out more.